In Mexico City, the mayor of the largest city in the Americas pledged that the metropolitan area would cut its carbon emissions 10%. 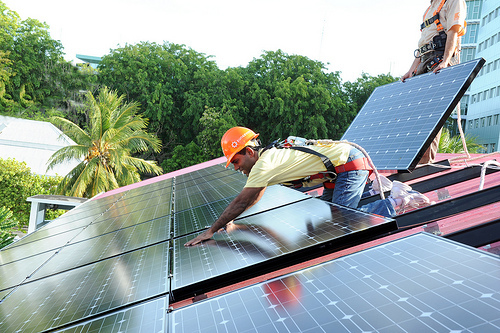 In the Maldives, President Nasheed installed solar panels on his rooftop. In Illinois, the governor pledged to put solar panels on the roof of his official residence. At United Nations headquarters in New York, staff collected 350 old incandescent light-bulbs, replacing them with efficient compact fluorescent bulbs. It will be nearly effortless for you to find at least one way to add to the movement tomorrow. Change out a lightbulb, plant a tree, weather strip your windows for the winter, put an insulating blanket on the hot water heater…but do something. You won’t get another 10-10-10 in this lifetime.